A brow lift, also called a forehead lift, corrects sagging eyebrows by raising them to a more alert and youthful position. 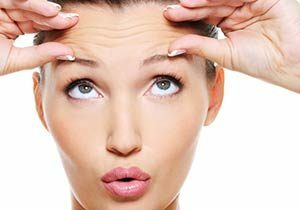 Baltimore cosmetic surgeon, Dr. Markmann, works with patients who are bothered by expression lines and other signs of aging in the brow region. This procedure also repositions low brows that hood the upper eyelids. A brow lift is typically performed in conjuction with other procedures, such as eyelid surgery, skin resurfacing procedures, and facelifts. The ideal candidates for this procedure are those who are in good physical health, and don’t smoke. Within 3-6 months, patients will see the optimized results, and look and feel younger with a positive outcome. A brow lift is performed under general anesthesia at an accredited surgical facility. It can last between 1 to 2 hours. Patients are sent home after surgery and advised to limit movement for up to 2 days. There will be some bruising and swelling that may be present on other areas of the face, such as the cheeks. It is quite normal to feel as though the face is out of symmetry, until your body has healed. Patients will be able to go back to a normal routine within a week. Strenuous activities must be avoided as it may affect healing.